They forced the third game with consistency and fight. Barça Lassa beat MoraBanc Andorra (81-85) in the second match of the quarter final play offs in the Endesa League. Pesic’s men were able to trail during the game but still turn the game around in the second half and win a closely-fought game. 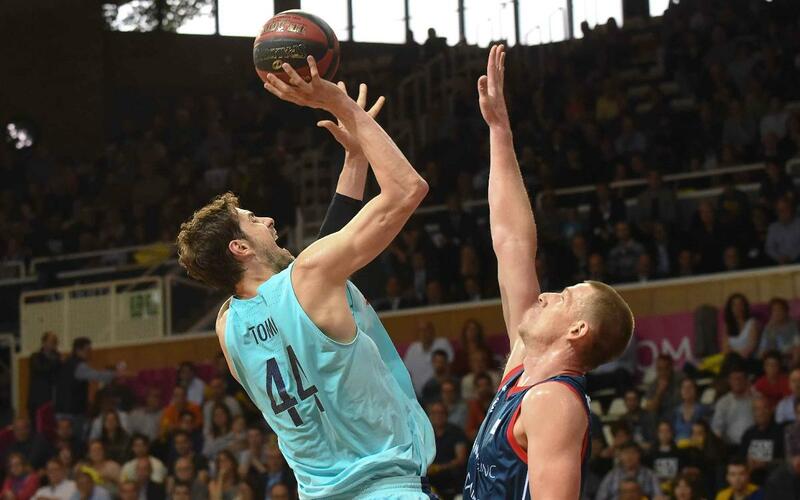 Tomic, with 19 points nad 6 rebounds, was the most impressive blaugrana. The game started with the home team controlling the scoreboard. The blaugranas didn’t stop fighting and they remained in touch as MoraBanc Andorra ended the first quarter 22-17 up. The second quarter saw the home side take a 10-point lead after 13 minutes. The Andorran defence were making it difficult for Pesic’s players to score freely. However, Hanga, Moerman and Heurtel led their side’s attack and they managed to prevent the opposition from extending their lead. The blaugranas demonstrated their desire to win the third game of the series as they responded with 12 points to 2 during a period that dragged them to 39-38. They then completed the comeback as they went into the break all square (42-42). Koponen and Heurtel scored a three pointer each which helped Barça Lassa take a six-point lead (42-48). Ante Tomic was also dominating and they proceeded to open up a 10-point advantage within five minutes of the restart (47-57, min 25). Barça’s lead reduced down to one point as the game progressed. However, they were more accurate at the death and this helped them secure the 81-85 victory that levels the series at 1-1. The final and decisive game will take place at the Palau Blaugrana at 7.45pm CET on Friday 1 June.